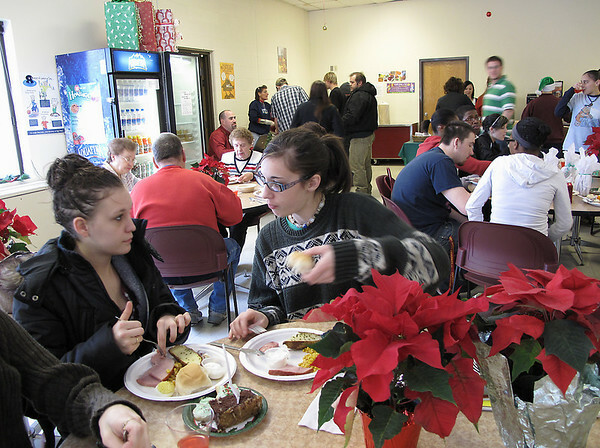 Samantha Brown, 17, left, and Amber Bodley, 18, both students at Traverse City High School, talk during lunch. Both girls are enrolled in the free and reduced lunch program. The alternative high school has one of the highest percentages of students in the program in Traverse City Area Public Schools.